Everybody finds the study style that best suits them and the site is easily adaptable to individual or group learning. In essence, sign up to the website, ensure you try out all of the features and find out what works best for you! What is the identikit of your typical reader? Five foot four inches tall, freckles and big feet… just kidding! We don’t have a typical user and we are very fortunate to have a user base that spans all corners of the globe. I would say they all have three things in common: a willingness to learn, get involved and a passion for all things China! How many articles do you publish in a month and what criteria do you use to choose the articles you will translate and publish? We never translate articles, rather our writers are given topics to research and write about – much like a journalist would. We choose articles based on what we as Chinese learners like to read. 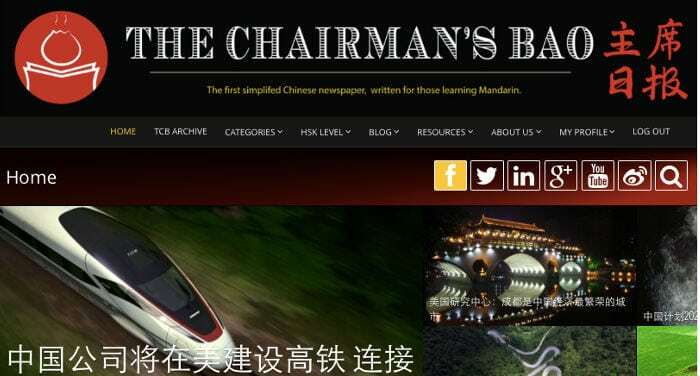 Interesting and exciting news stories, with a focus on China. We recently expanded our capacity and now produce around 21 articles per week – that’s a lot of Chinese news to get your teeth stuck into! You explained how, for writing your articles, you only use words belonging to the HSK lists. What are the challenges of this constraint, during the writing and editorial process? We developed a HSK level checker that is built into the backend of our website which helps us to grade articles. We then conform to a set of guidelines to ensure each article is a fair representation of the level we are trying to achieve. Any words that fall outside of the HSK word list and are still vital to the article are highlighted below in the article keywords. Looking at your “about” page, it seems that at the moment there at least 13 people involved on the project. I know – for personal experience – that after awhile it becomes difficult to invest time, energy and money on a project that, no matters how good it is, doesn’t offer a clear return of investment (being it money, career opportunities, fame or other). What are your goals, for The Chairman’s Bao? Our team is always growing which we are very thankful for. From our perspective, TCB has been a fantastic project that has allowed us to learn a great deal. We have been open from the beginning that TCB won’t remain free forever – as you can imagine, it’s not a cheap project to run. We hope that TCB will keep growing with the release of our mobile app and we also hope to venture into new languages in the future. What’s you favorite Chinese food? Easy one –麻婆豆腐 (mapo doufu)! Beside The Chairman’s Bao, what are your plans for the future? Travel the world, eat lots of good food and learn another language.Thanks for taking the time to interview me and congratulations on a brilliant project in SDC! Thank to you Sean, for taking the time to reply to my questions!